Images trump content as king on the Internet—in my humble opinion. They attract the eye more than long blocks of black text and are important to include in your tweets and posts if you want to be read, followed, retweeted, shared, and Liked. Lately, I’ve been spending too much time playing around with PicMonkey and Canva, two graphic art applications you can use to create Facebook banners, Twitter headers, post cards, business cards, greeting cards, biographics, any anything else you can think of. The best part about using these applications is that you can create custom-made banners without the expense of hiring a graphic artist. If you would like to start varying your banner images and using your creativity in a different medium, check out the above tools as well as Pinstamatic and start to attach images to your tweets and posts. You’ll be amazed at the results. Before you can start having fun, you’ll need to know the the social media image dimensions each network requires. If you don’t play within the lines of the designated pixels, your images won’t load correctly and will instead appear fuzzy or out of focus. That’s not the first or second impression you want to make. Your banner image must be 851 x 315 pixels. If you want to use your banner image in a boosted post or ad, then only 20% of the image can have text. Otherwise, the 20% rule doesn’t apply. To test your banner image, use Facebook’s cool Grid Tool. • Pictures of products that include text on the actual product. • Photos of products in real situations. • Images that cameras zoom in on where the image has a text logo or overlay. • Images that are clearly edited to include text on the product as a loophole to Facebook’s policy. Your Facebook profile image must be 180 x 180 pixels to load correctly, but it will appear as 160 x 160 pixels. According to LinkedIn, the ideal pixel size for your picture should be 200 x 200 to 500 x 500 pixels. If your width or height exceeds 4000 pixels, your image will not upload. If you have a company page, there are various sizes for the banner. The general cover photo size is 646 x 220 pixels with the smaller horizontal logo size being 100 x 60 pixels. Your profile picture is small, just 81 x 81 pixels. The header image needs to be 520 x 260 pixels. Your background image is important. Don’t use one of the pre-fab, stock images that Twitter provides for free. Upload a book cover or image that reflects the theme of your books. The file limit size will be 2 MB and Twitter automatically justifies all background images to the top left of your screen. If your image is small, select the Tile option to fill out your background completely. Try using a total image size of 1600 pixels wide x 1200 pixels tall — this will cover most screen resolutions — or 2560 pixels x 1600 pixels. Now check out those applications and start to have fun! 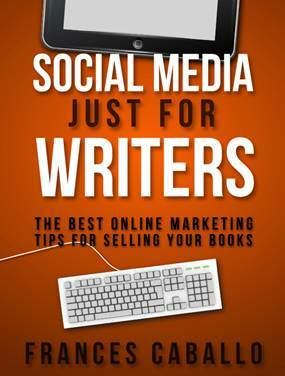 About the Author: Frances Caballo is a social media manager for writers and author of Social Media Just for Writers: The Best Online Marketing Tips for Selling Your Books and Blogging Just for Writers. Presently, she is the Social Media Manager for the Women’s National Book Association-SF Chapter, the San Francisco Writers Conference, and the Bay Area Independent Publishers Association. You can find her on Facebook, Twitter, LinkedIn, Pinterest, and Google+. 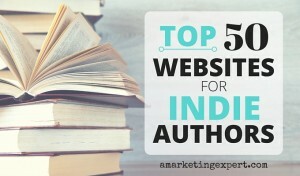 Free Email Course for Authors! Learn how to engage your readers and find new readers!